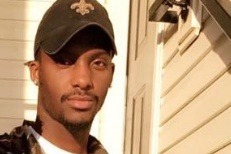 On Monday February 25, reported around 4 A.M. my nephew Kordedris Overton was murdered at a red light on his way home. The state will cover parts of the funeral, but we are unsure how much. Kordedris was raised by my mother Almeter Swanigan, however I was a secondary caregiver for him. We are wanting to raise money to help cover the cost of Kordedris Overton funeral, as we plan on giving him a peaceful homegoing service. Any help you can provide is greatly appreciated. Lastly, funeral arrangements will be confirmed on Tuesday, February 26th. Please feel free to message my daughter Keja Williams, or any immediate family. We welcome all of Kordedris friends, family and everyone who loved him. God bless you all. We appreciate all who have donated so far to either the go fund me, or the Facebook campaign. We will be sending out individual thanks to each of you.